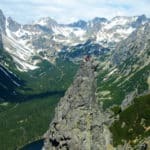 Climb to the impressive Ilha v Ostrove in the beautiful High Tatras of Slovakia with Miki, an IFMGA-certified mountain guide. 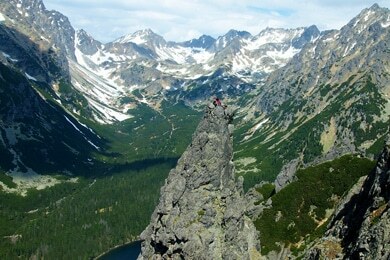 Join me on this exciting climbing trip to the Needle in Ostrove, located in the High Tatras, Slovakia. 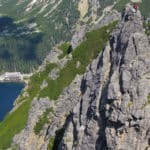 This steep route is filled with crazy and unpredictable elements and offers an incredible view once you reach the summit. Get ready for an unforgettable breathtaking adventure. 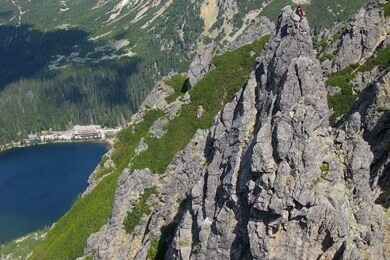 We’ll start at the Popradske pleso and continue towards Sedlo pod Ostrvou. We’ll then descend to Ihle. The trip will take about 5 hours in total. The hiking part of the trip is easy enough for all outdoor enthusiasts. The climbing part demands a bit more experience and a good physical condition. 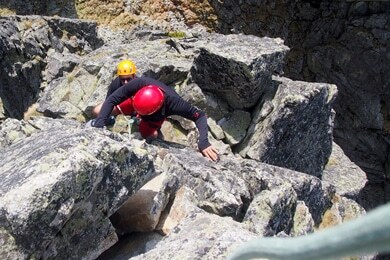 The route is of moderate difficulty and we’ll only be gaining an elevation of 500 meters. 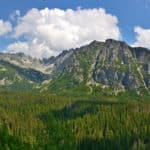 Book your trip now and get ready to enjoy the wonderful landscape of Slovakia. I would love to guide you in this amazing experience. I am a fully IFMGA-certified mountain guide. 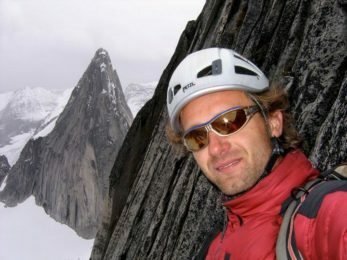 I'm an experienced climber, skier and traveler mostly living in Slovakia’s High Tatras and Canada’s western provinces. My passion for learning and exploring constantly leads me to travel around the world. My expeditions vary greatly as my interests do, but they mostly include ski mountaineering, alpine climbing, mountain biking and trekking. Rock Climbing - 1 day - Interm.